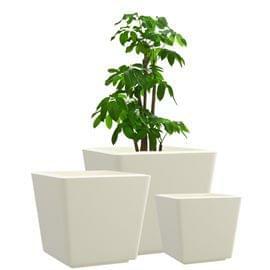 A modernist delight, the Yuccabe BAR Planter plays with the cuboid to create a co-ordinated range of planters with infinite potential. The perfect accessory to further define and decorate your space, the BAR is rooted in contemporary sensibilities and adds a touch of class to upgrade your decor. Attributes:The straight lines and stunning profile of the BAR sets it a cut above competition, creating a planter that is both timeless and contemporary. 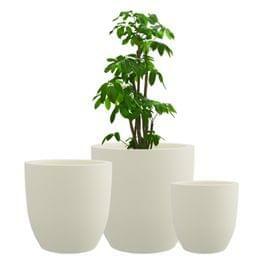 Built of high quality composites, the BAR planter is built to last, and therefore does not chip, fade or lose its appearance and appeal over time. 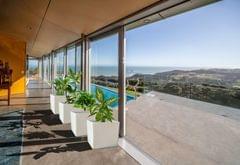 Manufactured to a superior quality that makes it highly durable and weatherproof, the BAR does not seep or mould. It is therefore highly versatile in its applications around the home or office and can be freely used indoors and outdoors. Its cuboid shape means that it can be safely placed at a height or on the floor where it will endure any wear and tear extremely well. 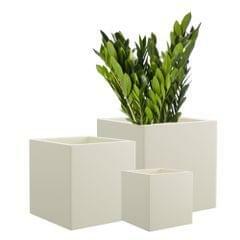 Applications:The BAR cuboid planter is ideal to complement the simplicity of a minimalist decor or to calm a busy space. 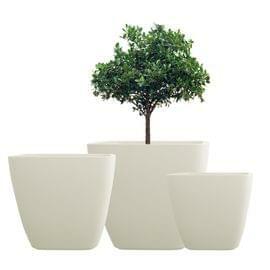 We recommend creating an arrangement with varying sizes to add a touch of play to your garden or interiors. Or why not accentuate a wall or ledge with a series of planters coupled with lamps or other interesting lighting accessories!